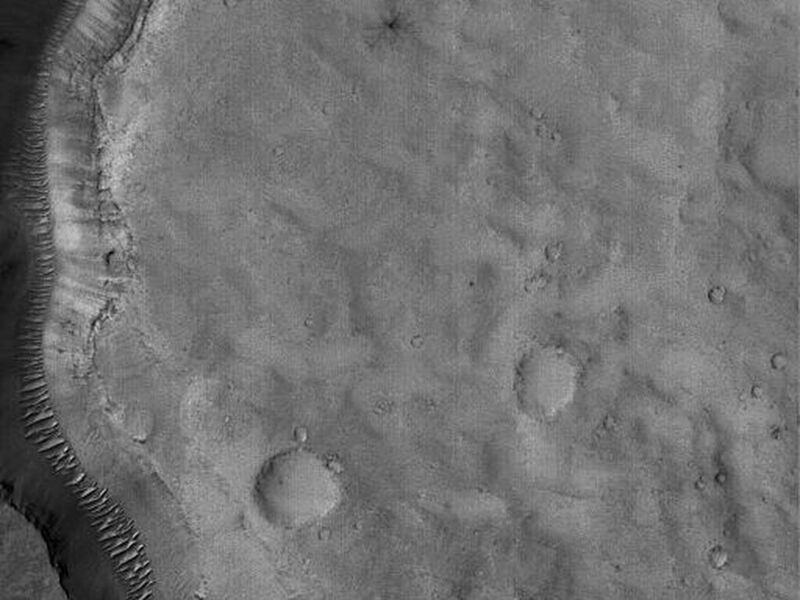 This Mars Global Surveyor (MGS) Mars Orbiter Camera (MOC) image shows an ancient valley in far northwestern Arabia Terra, near the Cydonia region. Large, windblown ripples occur on the valley floor. 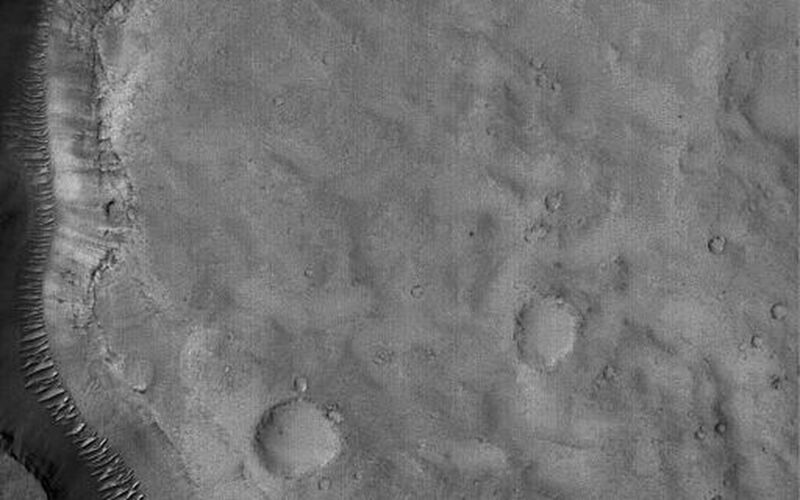 This valley is located near 33.2°N, 10.1°W. 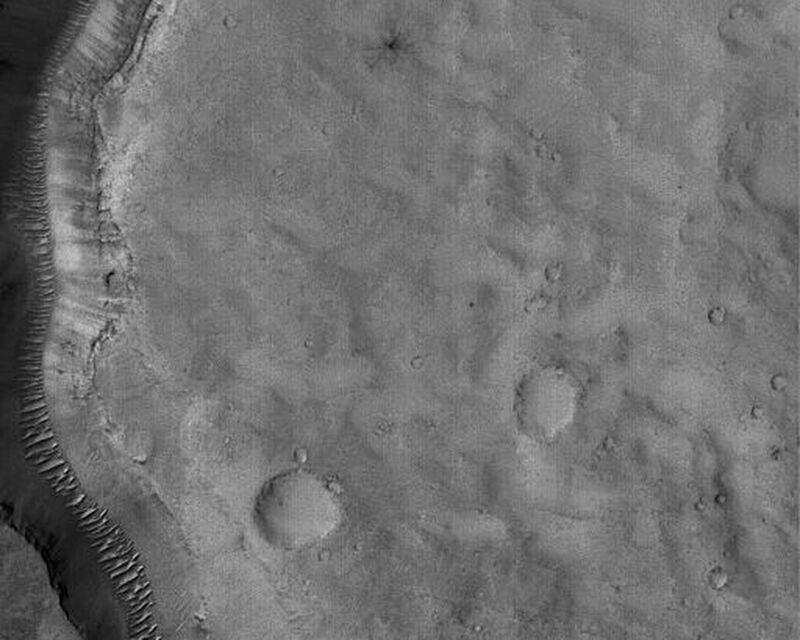 The picture covers an area about 3 km (1.9 mi) across, and is illuminated by sunlight from the left/lower left.